This is the perfect drink for Spring! The temps are rising and this drink is cool and refreshing. 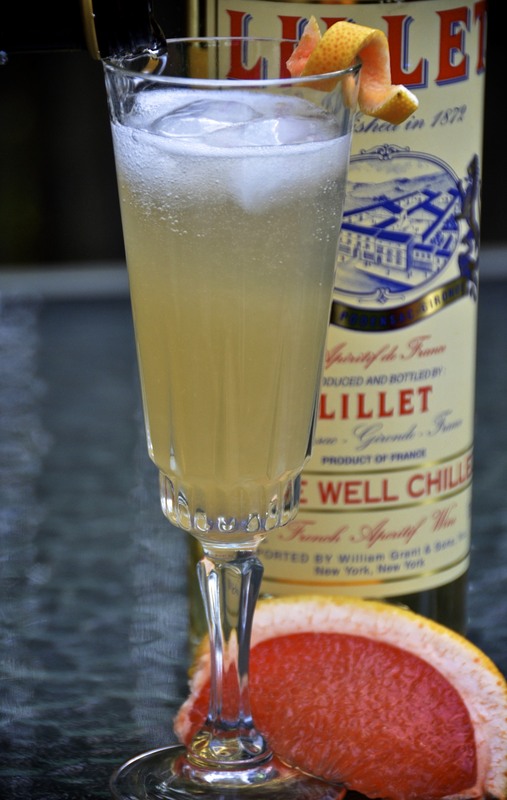 The grapefruit cuts some of the sweetness of the Lillet and a little bit of bubbly makes everything better. Add Lillet and grapefruit juice to a glass with a few ice cubes. Top with champagne. I love your blog entries. One question though. What kind of camera do you use? Everything about this makes me drool. Will be making this soon. They are delicious. Perfect for this time of year!